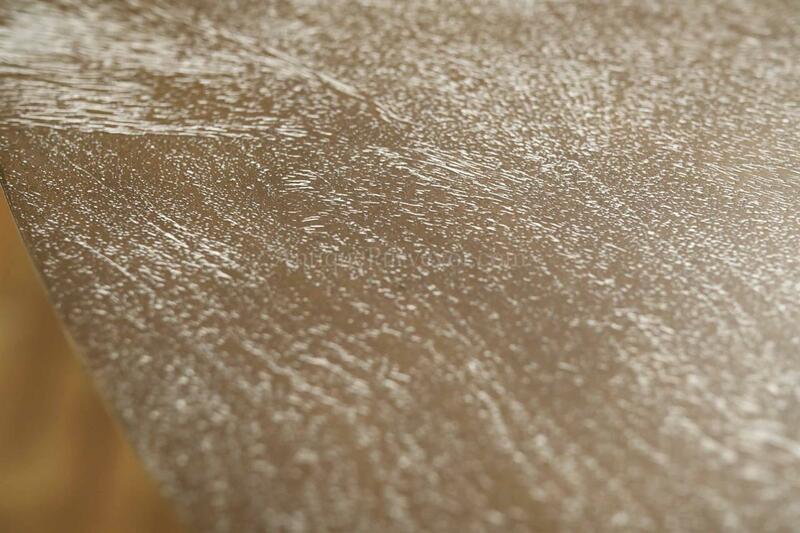 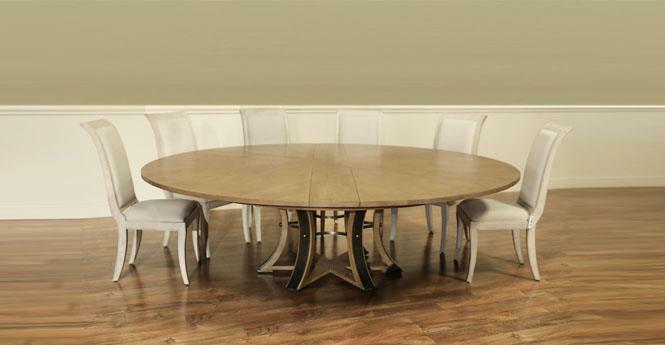 Description: White pigmented mahogany dining table with self storing leaf. 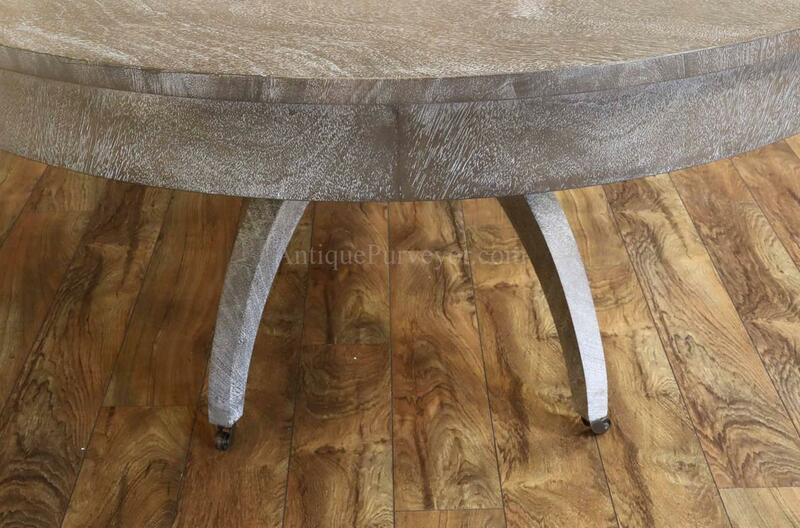 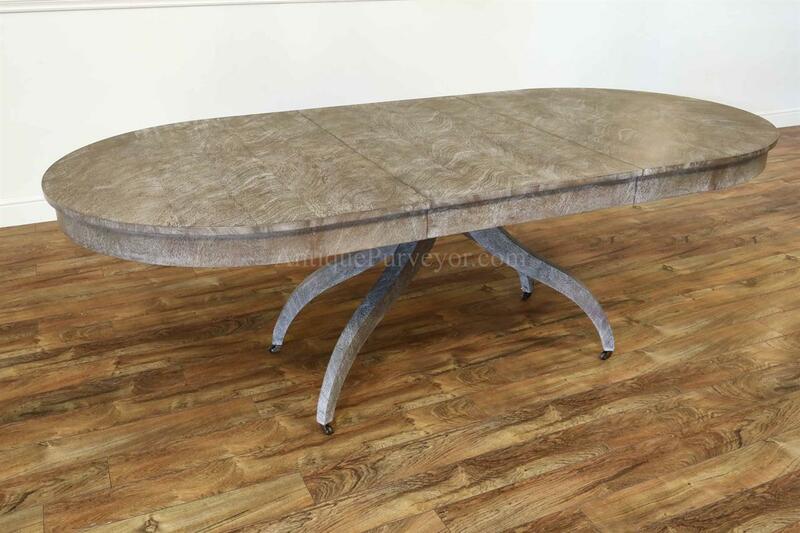 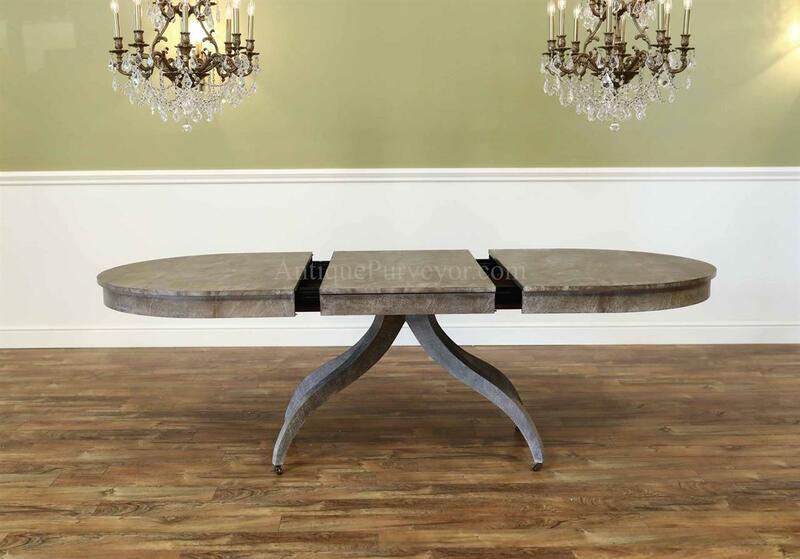 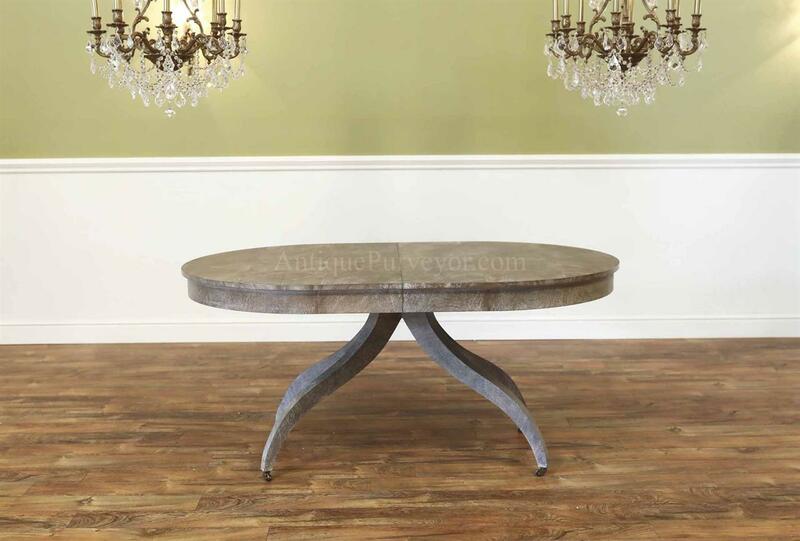 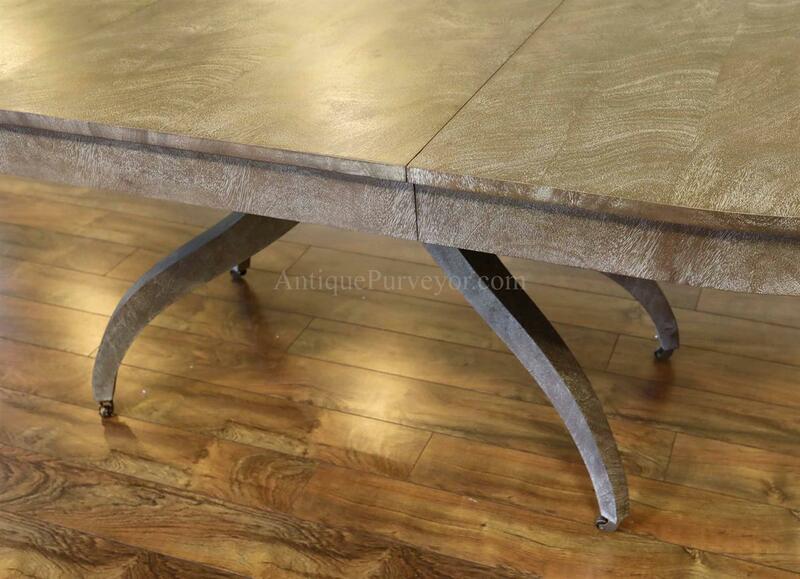 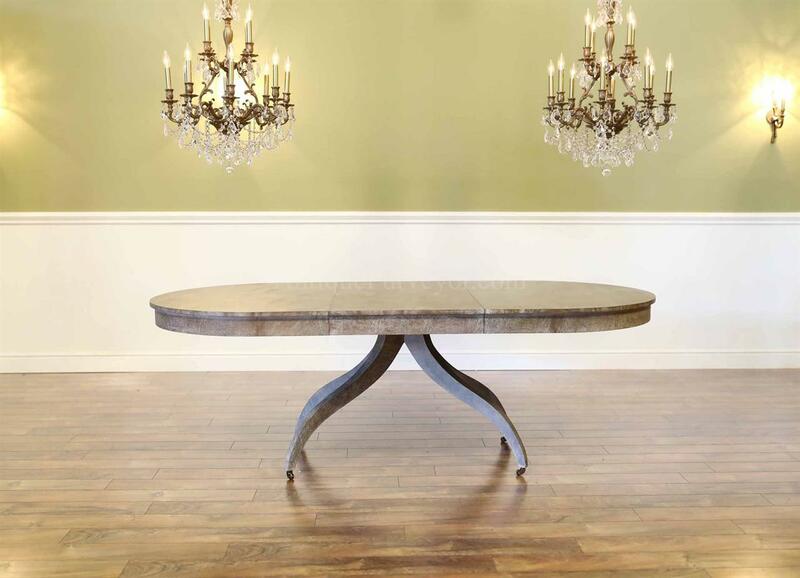 High-end transitional gray finished spider leg pedestal table seats 4 to 8 people. 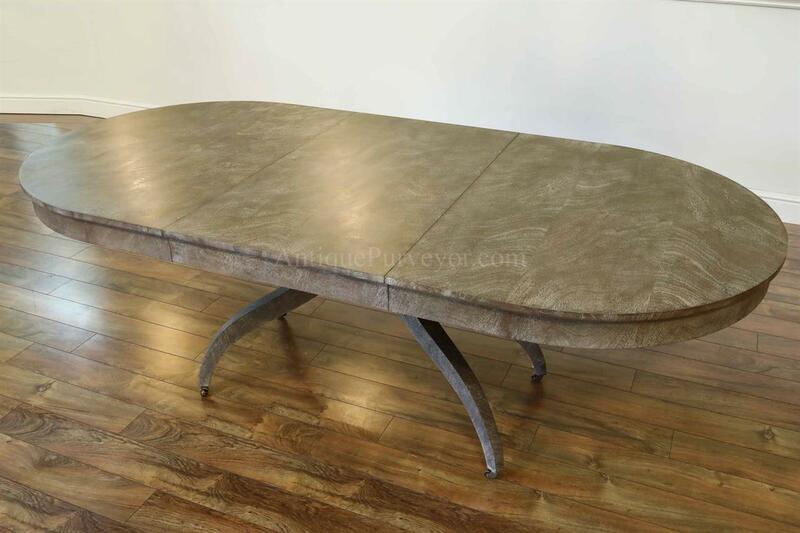 Very heavy and sturdy. 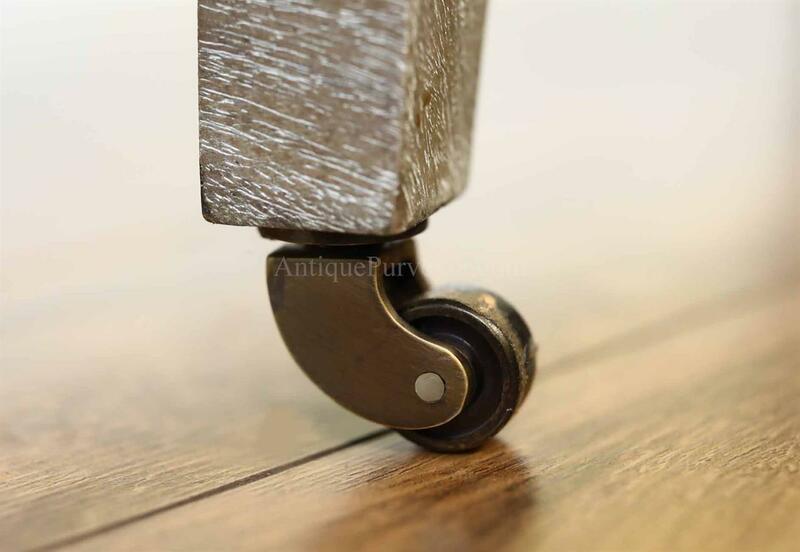 Small solid brass casters. 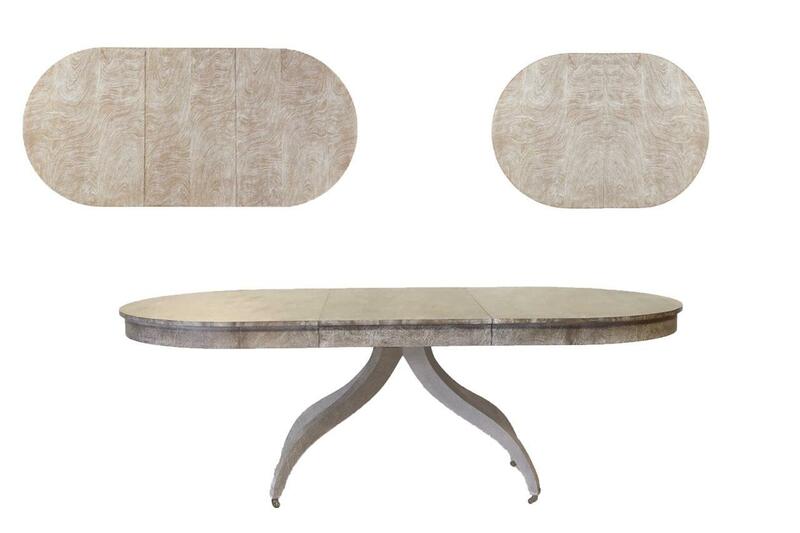 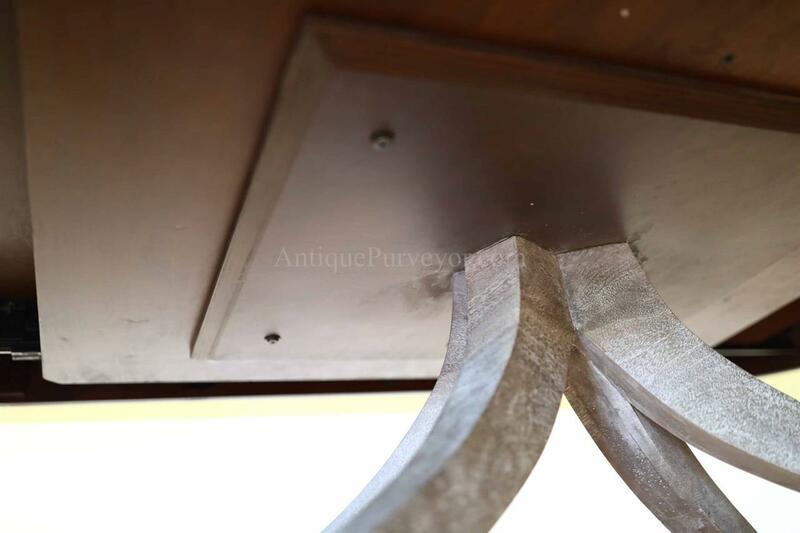 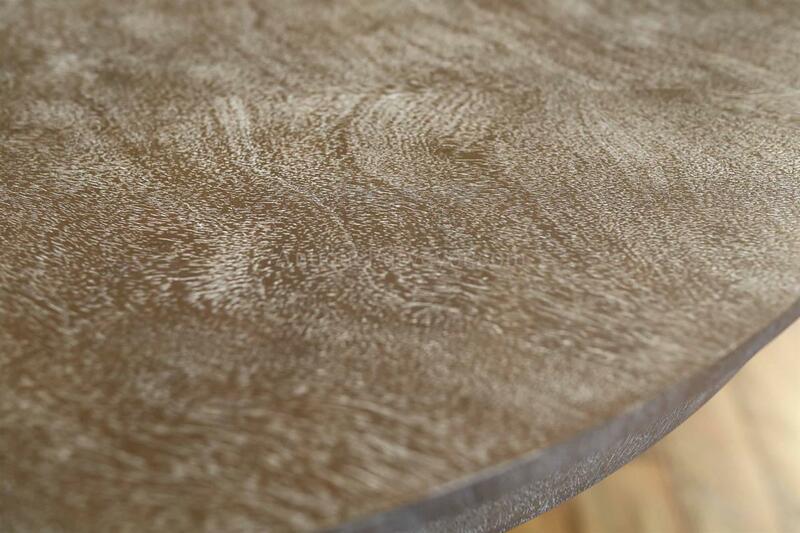 Table is fitted with am apron around the entire perimeter of the table and its leaf. 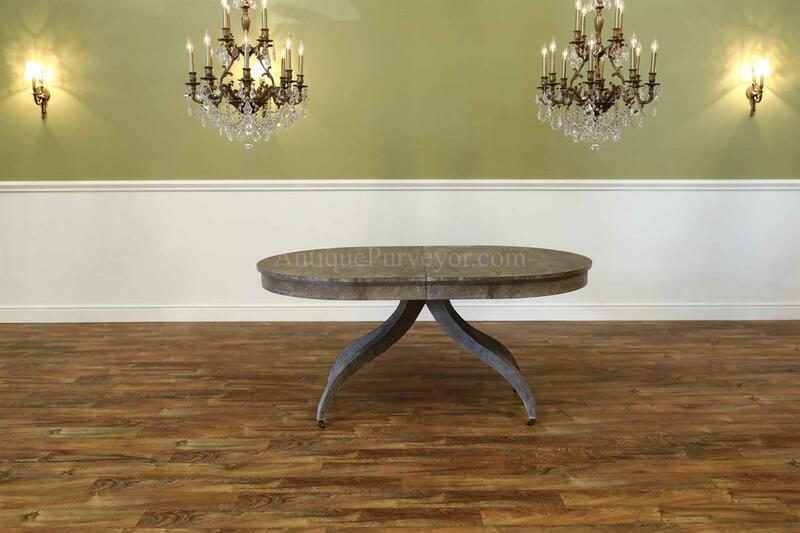 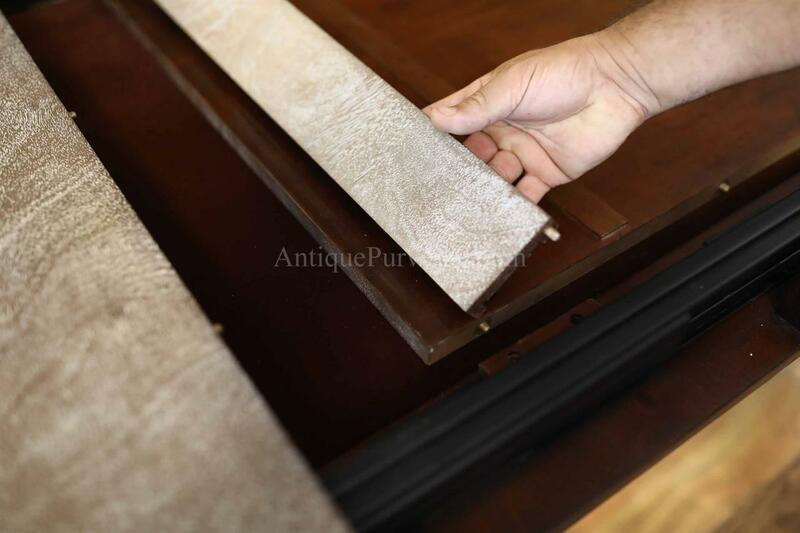 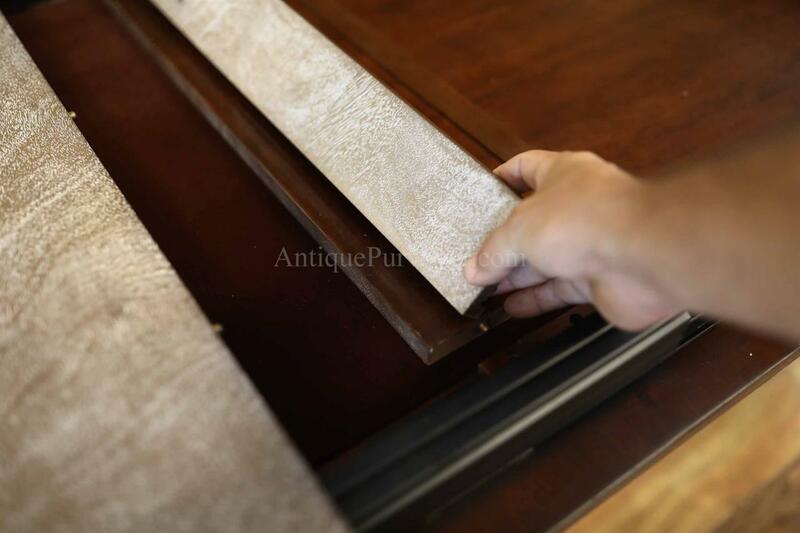 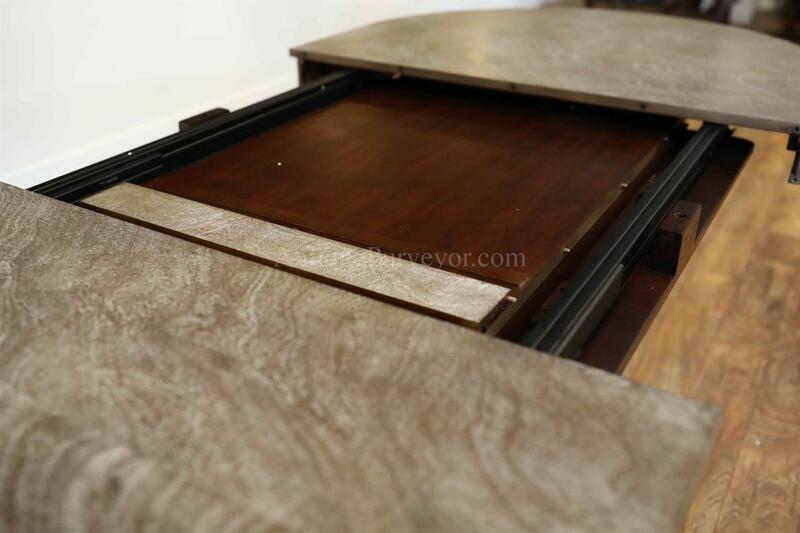 We have white oak chairs that would coordinate with this table and those chairs can be found if you look under related products on the right margin of your screen.